Tidbits is always a collection of foodie news, today we take a look back at this week's most popular stories with new foodie news. 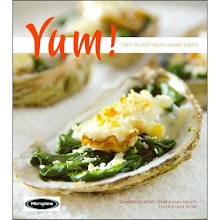 Cooking contest with Pama Liqueur: If you are a creative cook this might be the cooking contest you can win. Grand Prize, a trip for two to The Food and Wine Classic in Aspen.